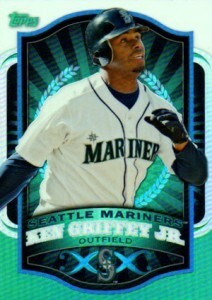 The latest edition of Topps value boxes are starting to surface at retail outlets. For $15, each comes with five 2012 Topps Series 1 Baseball packs, two 2012 Topps Heritage Baseball hobby packs, one Golden Giveaway redemption code and an exclusive Chrome Refractor. So far, it doesn't appear that there are any color variations like there were with the Bryce Harper cards that came in similarly configured value boxes that came with 2011 Topps Updates Series Baseball and 2011 Bowman Chrome Baseball. 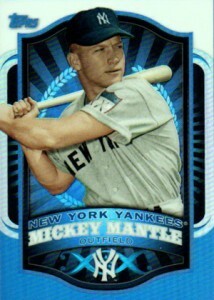 Last year's value boxes became popular when an abnormal amount of big-time hits seemed to be coming out of them. 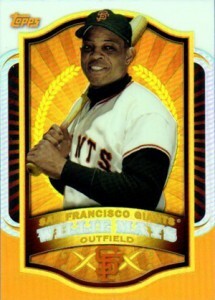 Time will tell is the 2012 Topps Baseball value boxes come with similarly loaded content.